19” rack mount cases provide secure mobility while protecting sensitive electronic equipment against shock, vibration, humidity, dust and moisture. Every API rack is thoroughly tested to meet stringent MIL and EIA standards. Engineered racks in standard or custom configurations are available in a huge choice of sizes and shock mount weight bearing capacities. These rack mount cases have protected the most sensitive, state-of-the-art technologies deployed around the globe under the most exacting conditions by military, private sector and industrial customers. Unique design features include: Molded-in rib exterior provides secure stacking and interlock for safe transport and storage. Patented wide-design Comfort grip handles™ make lifting easy. Corrosion proof hardware is long-lasting and fastens securely. A green alternative that performs effortlessly in harsh conditions, such as extreme temperature, prolonged exposure to sunlight and static charged environments. Today’s advanced metal forming technology allows ultra fast and affordable manufacturing of custom welded aluminum cases. 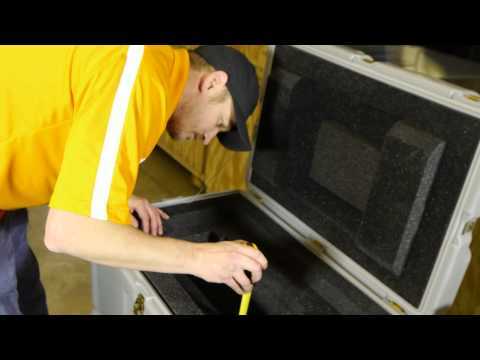 Of all materials used in the manufacture of protective cases, aluminum is by far the easiest, fastest and most cost effective to customize. Your options are virtually unlimited. Unique design features include: Fully welded protect corners that resist abrasion and damage from impact. Made of durable .080” thick, 5052 aluminum construction throughout. EIA compliant, extruded aluminum or steel frame rails available in T-nut, threaded or through-hole. Shock mount weight-bearing capacities up to 300 lbs. Sizes range from 4-30 units. Regardless of size, quantity or style API can provide the perfect custom double entry rack mount protective case solution faster and more affordable than anyone else. Talk to an API sales consultant today for a complete list sizes and available options today.